In a world where all feeling are artificials and where everyone is a potential drug addicted, nothing is really changed: the excess is near at hand and very few substances are considered dangerous and put under a strict control by a hygiene office which has full power on the drugs addicted who are in extreme condition. the happiness through the ecstasy of the drug, while on the same time hypocritically hating who gave born to that society which has forced him to the excess. From that moment his incredible journey begins, where dream and reality are fused in an undivided world, causing him hysterical or joyful reactions and unrestrained pains. 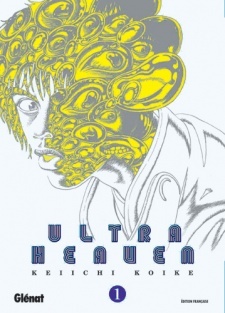 But what really is Ultraheaven and who's really behind it? And who is the guru who is promoting the meditation as a powerful way to influence the whole universe surrounding us exploiting the quantum theory?